ROME – The Syrian regime has no intention of enacting the United Nations and Arab League plan. It is instead adopting a strategy of “buying time”. Having been advised by its inner circle, the regime is clearly betting on the future potential modifications that in the end will influence the structure of the events. It goes without saying, the regime has approved the mission of the United Nations due to pressure exerted by the international community. As it stands, the time margin of three months set out by the mission is considered as being opportune to allow the international community to accept the imminent modifications as facts on the ground (while both the French and American administrations are currently preoccupied with their own elections). At the same time, the local scene within Syria is in a restructuring phase with constant killings, arrests of revolutionary activists and the continual displacement of the civilian population, especially in Homs. A clear signal of the success of the dismantling of the uprising as carried out by the government. Based on the following facts, it seems like the regime has approved the United Nations mission on the basis of the evaluation of the Russian position on Syria, especially after the constitution of the “Friends of Syria” that has proposed a “group to monitor the follow-up on the crisis”. It is clear that the Russian strategy has the purpose of softening the position of the international community, limiting it to concentration exclusively on the urgent humanitarian crisis in Syria and shifting the attention away from the strategic plan. Moreover, Moscow is attempting to drag the world in a controversial discussion regarding the presence of organised terrorism in Syria lead by “armed gangs”. With the Russian strategy and the dilated time frame of the Annan “peace plan” the Syrian regime could try to stop the uprising with more solid arrests and more killings. It is furthermore trying to limit the defections within the armed forces, which are very dangerous for a regime that no longer can predict the defections and the possible consequences. Based on the above elements, it is correct to say that the regime is not willing to enact the Kofi Annan initiative regarding a pacific transfer of power. 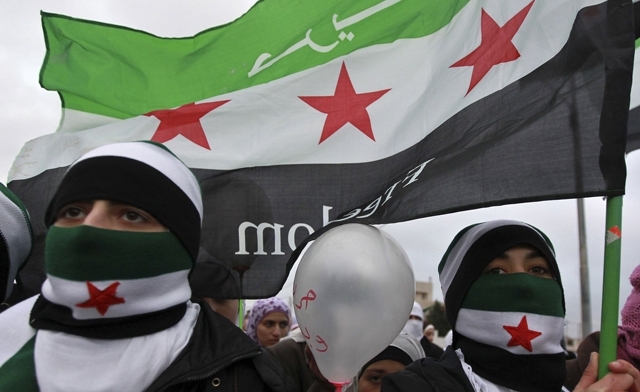 The Syrian government knows that the international community is considering a similar solution in Yemen, while the Syrian protesters are determined to continue in their struggle without compromising. It is indeed impossible for the Syrian population, after the massacres and the destruction of the cities, to accept any agreement or conciliation. The choices of the regime are thus narrowing. It has to drastically silence the revolution and it needs to find the way to rebuild the regime in the international and regional scene, or it will push the country towards a civil war where the author remains unpunished, leaving all the parties to bear responsibility.